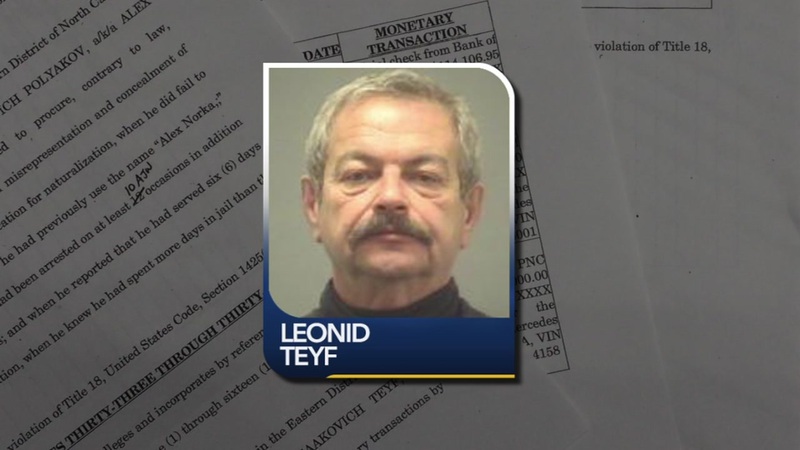 Leonid Teyf was indicted on dozens of federal counts, including a kickback scheme and murder plot. RALEIGH, N.C. (WTVD) -- The man who owns the mansion at the center of an FBI raid in Raleigh on Dec. 5 has been indicted in a murder-for-hire plot that allegedly sought to get his wife's lover killed -- or at the least -- deported to Russia. Teyf apparently tried to get his housekeeper's son, who he believed was romantically involved with his wife, deported. On Dec. 5, FBI investigators raided a home at 6510 New Market Way in Raleigh. Property records show the home is owned by Leonid Teyf and his wife, Tatyana Anatolyevna Teyf. According to court documents, Leonid enlisted a longtime friend and business partner, John Patrick Cotter, to help in the deportation plot. Cotter is now facing charges for aiding and abetting and bribery of a federal official. Teyf also faces counts involving immigration charges. He is accused of bringing in Russians to run his U.S. companies and trying to keep them in the U.S. illegally. If convicted, the Teyfs could forfeit their U.S. companies, millions of dollars in properties in Raleigh, their luxury vehicles, $2.6 million in artwork, the cash in 26 bank accounts, and other personal property including firearms.